Looking for a creative, healthy snack on the go? 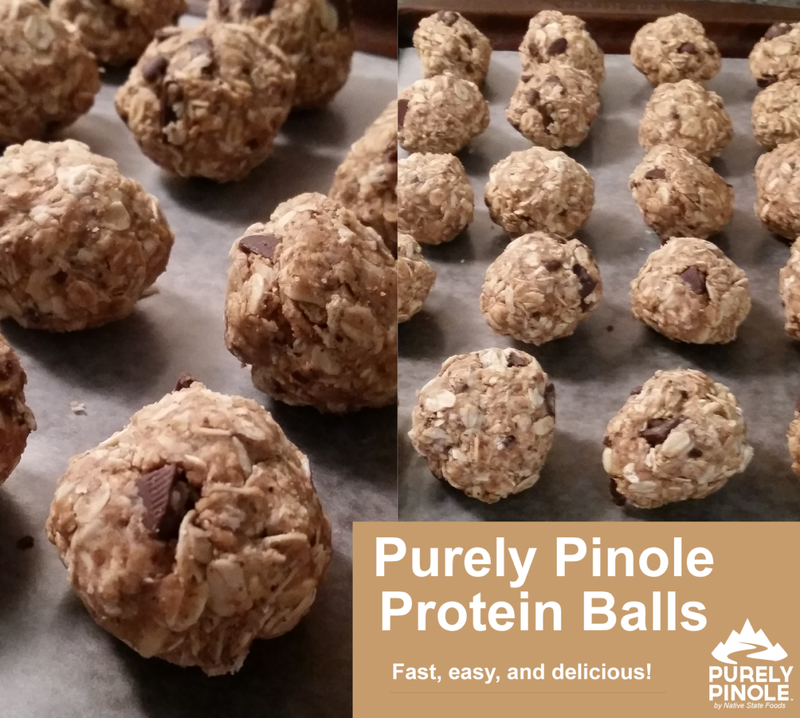 Check out our yummy recipe this week for Purely Pinole Protein Energy Balls! It’s fast, easy, and delicious! Place on a lined cookie sheet with a bit of space in between each. Lastly, pop into the fridge for 30 minutes-1 hour. Once cooled, place into a ziplock bag and you have the perfect on-the-go snack for the week! PRO tip: Chilling these protein snack balls first helps them not stick together in the bag! Thanks to Felicia B. of Pine Mountain, GA for this delicious recipe! If you’d like to share your recipe with us, just email us at editor@purelypinole.com!